Hi Sheila, it is so nice to meet you. So, you’re a mathematician and you write fiction. What’s the connection? I guess being mathematical means I like symbols; fiction’s full of recurring ideas and deeper meanings, so that could be a connection. Mathematics makes sense too (seriously, it does!) and there’s a kind of logic to fiction where everything you put into the story has to belong. And when you finish there’s that sense of completeness and rightness at the end of a novel, like writing QED (quod erat demonstrandum) on the final line of a mathematical proof. There’s the same kind of satisfaction in math and writing too; working a math puzzle’s kind of like working with the pieces of a story, watching things come together and realizing they have to be that way. The biggest difference though is, when you’re finished, the math is either right or wrong, but the writing just is. That's true, although abstract math sounds like a lot of world building to me. Are there any particular mathematical allusions in your new novel, Divide by Zero? The title’s mathematical of course. At a basic level, dividing by zero gives you infinity, but really the answer’s undefined, kind of like answers in real life. Look at it the right way and dividing by zero won’t change anything—3x/x for example always looks like 3 as x gets closer to zero. But looked at differently it turns the whole world on its head—1/x is hugely negative when x is just less than zero, and suddenly hugely positive when x gets just a little bigger. 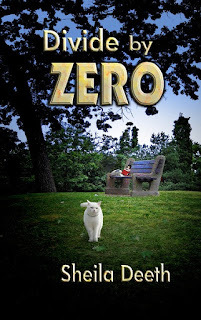 That’s probably too much information… Anyway, Divide by Zero’s about a community united by family and friendship, divided by an unexpected tragedy and reunited by a small boy’s wisdom. Well, there is countable infinity and uncountable, but zero is always the same. Your blurb says the subdivision raises the child and the child raises the subdivision. Is that always how you saw the story working out? No. To begin with I was just writing short stories about a group of characters. I wasn’t really planning a novel. Then something happened in one of the stories and it really startled me. I wanted to know more and I started arguing the the point with my characters as I walked around the green. Eventually it reached that QED stage and all came together. Then I had characters and plot and the novel grew out of it. Interesting. There’s an autistic girl in the story as well as the wise little boy. Do you have any experience with autism? I have a couple of nephews with diagnoses on the autistic spectrum. They’re both wonderful guys. One is doing his masters in psychology at the moment—he’s a great public speaker and his first book came out last year (Raising Martians—from crash-landing to leaving home—highly recommended!). His brother’s more seriously affected, but I’ve always been very fond of them both and I’ve always had this urge to imagine how they see the world. Is there a connection between autism and mathematics? The researchers certainly suggest there might be. Part of the attraction of mathematics is you really can define and understand the rules, but it’s so much harder to do that in life. It’s particularly hard for people with Asperger’s syndrome (a form of autism) to recognize the rules of social interactions. How did you get from being a mathematician to being a writer? I studied mathematics at college—I think the possibility of being unequivocally right kind of appealed to my teenaged brain. Then I worked with computers. And then I had kids. But I’ve told stories since before I learned to write (possibly since before I learned to talk—Mum says I was constantly “babbling” as a baby). When I lost my most recent job I decided to take my childhood dream more seriously and try to get published. Maybe having a family helped me realize I’d never be unequivocally right anyway. But you must be really good at totaling shopping lists? Not at all. I’m hopeless at it. I’m a mathematician that can’t add up and a writer that can’t spell. I can’t tell left from right either. But, like I said, it’s the symbolism I like in mathematics and in fiction—that feeling of searching for deeper meaning, underlying structure and all that. Is there anything you want readers to know about Divide by Zero? Well, it’s about community; it’s about looking at things and people differently; it’s about love and forgiveness and hope… I could give you the blurb and the places to buy the book I suppose. And I want people to see the cover ‘cause I think the artist (Peter Joseph Swanson) did a brilliant job. Thank you for inviting me to your blog. And thank you to readers for spending their precious time looking at our interview. 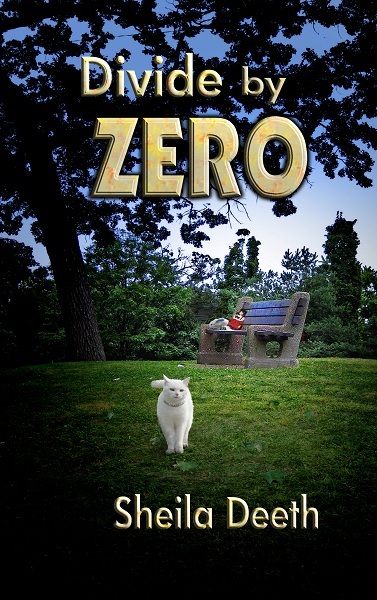 Good News: Divide by Zero is FREE today on Amazon.com! Troy, the garage mechanic’s son, loves Lydia, the rich man’s daughter. Amethyst has a remarkable cat and Andrea a curious accent. Old Abigail knows more than anyone else but doesn’t speak. And in Paradise Park a middle-aged man keeps watch while autistic Amelia keeps getting lost. Pastor Bill, at the church of Paradise, tries to mend people. Peter mends cars. But when that fraying thread gives way it might take a child to raise the subdivision—or to mend it. Sheila Deeth grew up in the UK and has a Bachelors and Masters in mathematics from Cambridge University, England. Now living in the States near Portland Oregon, she enjoys reading, writing, drawing, telling stories and meeting her neighbors' dogs on the green. Sheila can be found on her website. Find her books at her book page. Amazing interview! I've worked in the accounting field for 13 years...and I'm a writer. I've heard people say, 'either you're good at math or good at writing, but not both.' So not true. Lovely to meet a fellow mathematician writer Christina! And thank you for giving me such a warm welcome to your blog Rachelle. I really enjoyed the interview, it was fabulous! 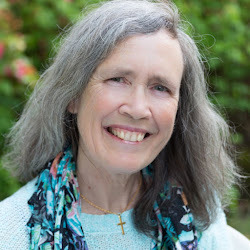 I really liked how you connect being a mathematician Sheila to your writing and how you incorporated it to your novel! Kudos to the both of you! Great interview ladies! Sheila - I love how you make the comparison of maths with writing and how with maths you are either right or wrong - but with writing it's so true that you can go back to it time and time again and change it, getting a different answer everytime.